The Arab four-member committee in charge of monitoring the crisis with Iran and ways to deal with its interference in Arab affairs Tuesday expressed its solidarity with Morocco, which has decided to sever diplomatic relations with Tehran last May. The Committee expressed “its solidarity with Morocco regarding the dangerous and reprehensible interference of Iran and its ally Hezbollah in the Kingdom’s internal affairs,” underlined the committee in a statement issued at the end of its 9th meeting at the headquarters of the Arab League in Cairo. Morocco severed ties with Iran early May to protest its documented involvement in facilitating an alliance between its proxy Hezbollah and the Algeria-backed Polisario separatists. With logistical help of Iran’s embassy in Algiers and Algeria’s consent, Hezbollah military officials trained Polisario militias on urban warfare against Morocco and supplied them with surface to air missiles, SAM-9, SAM-11 and Strela missiles. Several countries had expressed support for Morocco in its standoff with Iran and Algeria. These include member countries of the Gulf Cooperation Council, the Arab League and the Organization of Islamic Cooperation. The Arab four-member Committee also condemned Iran’s repeated interference in the internal affairs of Arab countries, and denounced the continued provocative statements made by Iranian officials against Arab States. The committee expressed deep concern over Iranian practices aimed at igniting sectarian conflicts in Arab countries and sowing instability and lawlessness in the Arab region, hindering thus regional and international efforts to resolve crises in the region by peaceful means. According to the statement, the Committee also condemned Iran’s threats to international shipping in the Arabian Gulf, the Strait of Hormuz and the Red Sea through its Houthi militias. During its meeting, held on the sidelines of the 150th session of the Council of Arab Foreign Ministers, the Committee drafted a resolution on Iranian interference in the internal affairs of Arab States. 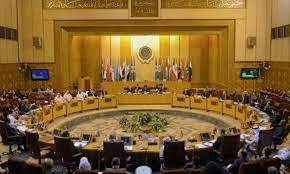 The draft will be submitted for approval to the Arab League ministerial Council.